Incised on a slab of hard slate at Knocknagel, Inverness shire and widely used throughout Pictland, now modern Scotland, possibly any time from 200BC until the 9th. Century. No one knows why perhaps a salute to a formidable quarry. The people of Orkney were known as the boar people or the Orka; the suffix 'ey' means island. 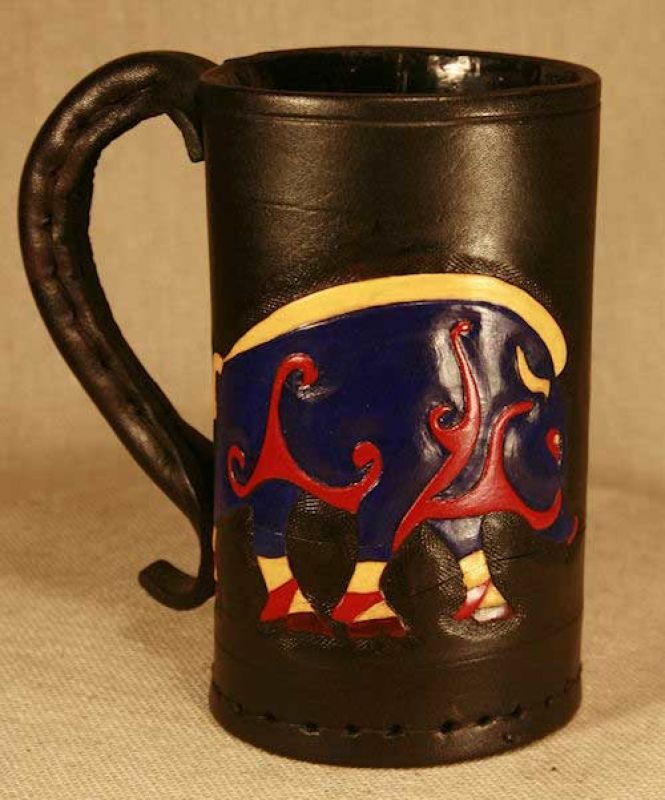 The design can be hand carved on either a Tankard or a Medieval Jack Body. Capacity of Pictish Boar Jack or Tankard - One pint - Approximately.